Are you feeling the pressure from taxpayers to cut costs and yet preserve the pavement on our roadways? Are you thinking about the environment responsibly and want to make sure you're making the right decisions? You believe in saving lives but know there's a fine line in balancing many factors. You have a tough job and have difficult decisions to make. For the last 50 years we've been helping government agencies, townships and municipalities preserve our roadways while focusing on the environment. 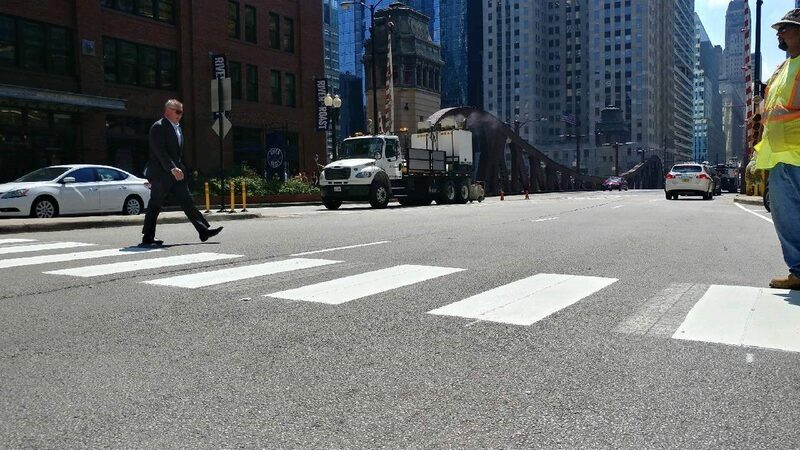 We are the oldest and largest privately owned pavement marking and preservation contractor in Illinois and we are here to help you address many of the issues that you face. Pavement preservation techniques such as Micro-surfacing, Cape Seal, Slurry Seal and Chip Seal have been performed by AC Pavement in nearly every Chicago Suburb and many Townships and Counties throughout Illinois. We've worked on the entire Illinois Tollway System. AC Pavement sits on many safety committees, locally in Illinois and nationally, to promote and develop safer roadways. We were instrumental in partnering with IDOT, on a committee, to require the use of crash cushions on the backs of trucks in work zones to help reduce injuries and deaths. These requirements have spread nationally and resulted in reducing the number of injuries and deaths in work zone related crashes. Our Micro-surfacing and Slurry Seal operations use completely environmentally friendly materials and are solvent free. We have spent close to a million dollars on special upgraded pavement marking equipment to help eliminate the use of solvents for our pavement marking operations. AC Pavement was the initial installers of the raised reflective snow-plowable pavement markers and helped develop the specifications used throughout the snow belt states. AC Pavement has pioneered most of the marking material installations currently used on our nations roadways. AC Pavement Striping Company has received numerous awards and is Nationally regarded as one of the top pavement marking contractors in the country by the American Traffic Safety Services Association (ATSSA). Copyright © 2017 AC Pavement Striping Co. Web Design by SEO Windy City.